Sometimes I just have to pinch myself to make sure my dream is a reality. As I have mentioned before, I dreamt that one day my craft would be recognised as being good enough to be published. 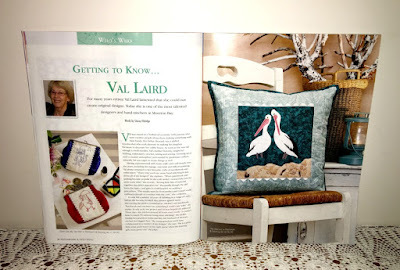 To have my name on the front cover of one of Australia's favourite craft magazines, just blows my mind! 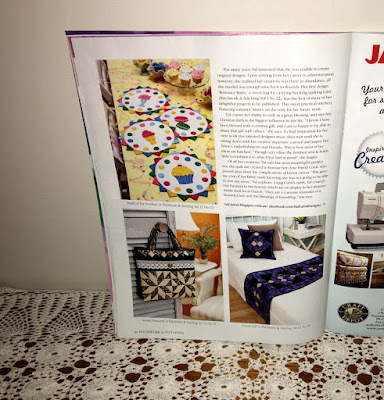 I feel so honoured to have another profile in Patchwork & Stitching magazine, especially as there will only be another two or three issues before it closes down for good. Here's what the article looks like inside. 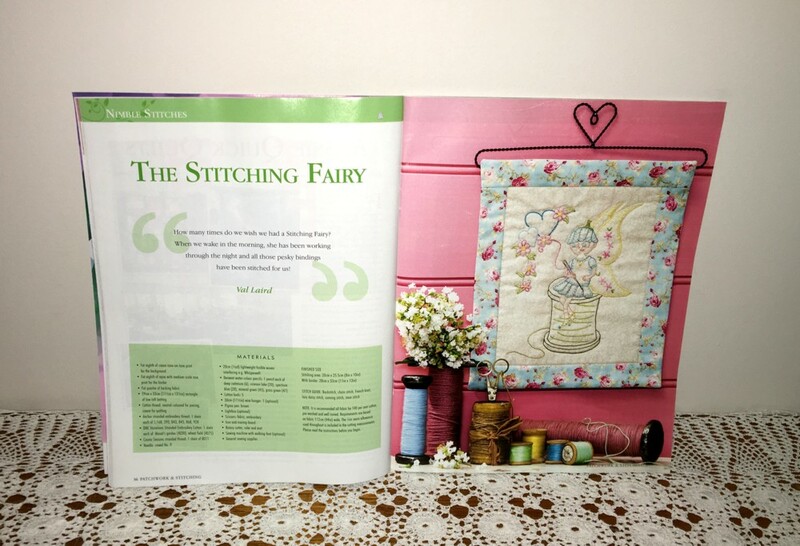 In the same magazine is my Stitching Fairy, another collaborative effort with my grandson. It was just the perfect addition to the design. I used water colour pencils to add spots of colour. 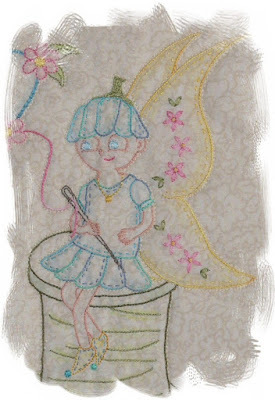 The stitching fairy is ready to work all night for us and have all those pesky bindings stitched down by morning! 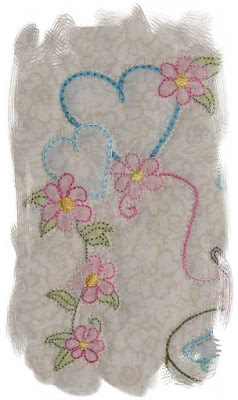 Vol 17 No 12 if you would like to stitch this one. I can't say I am running on all four cylinders at the moment. Continued lack of sleep takes its toll after a while. My husband had quite a relapse with his skin problem this week and we are ever so thankful for skillful and helpful doctors who have gone the second mile to assist in the control of this debilitating autoimmune disease. But it all takes time and effort and tends to drain away the creativity! 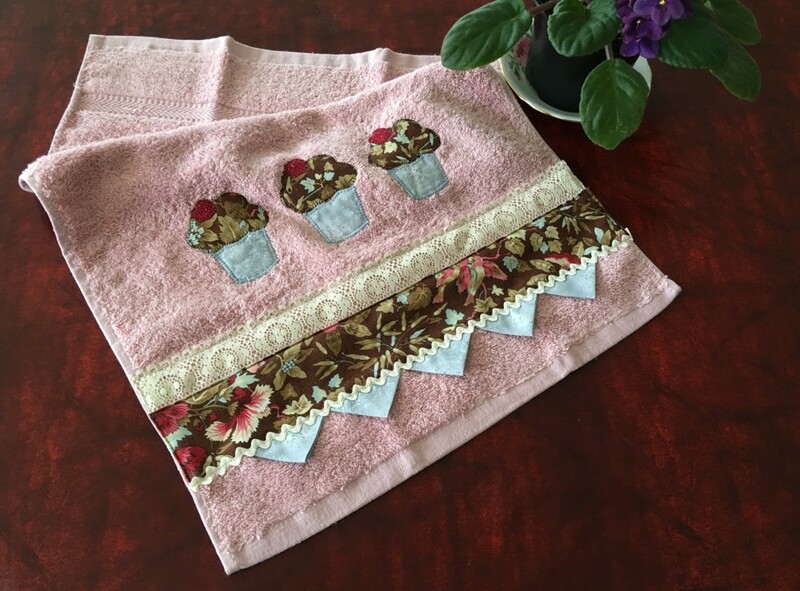 I did manage to achieve one craft project - a decorated hand-towel. 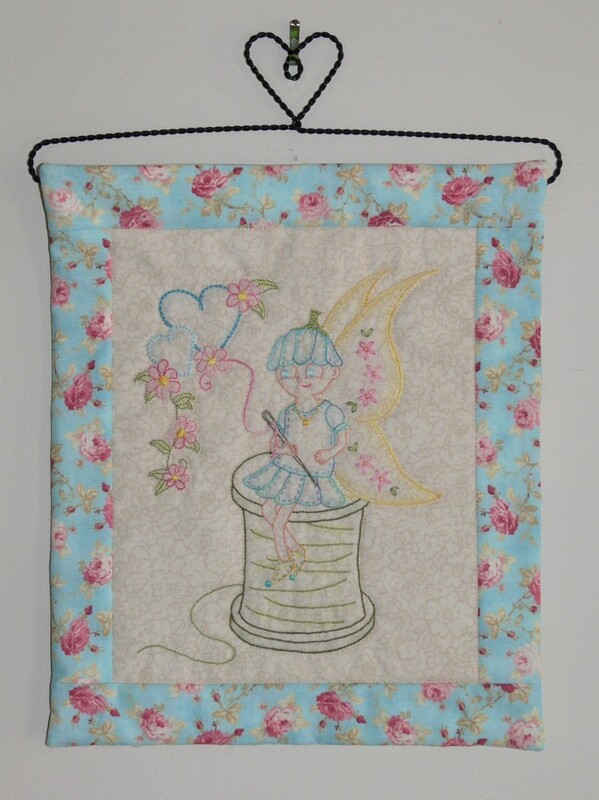 I am rather pleased how well it turned out. 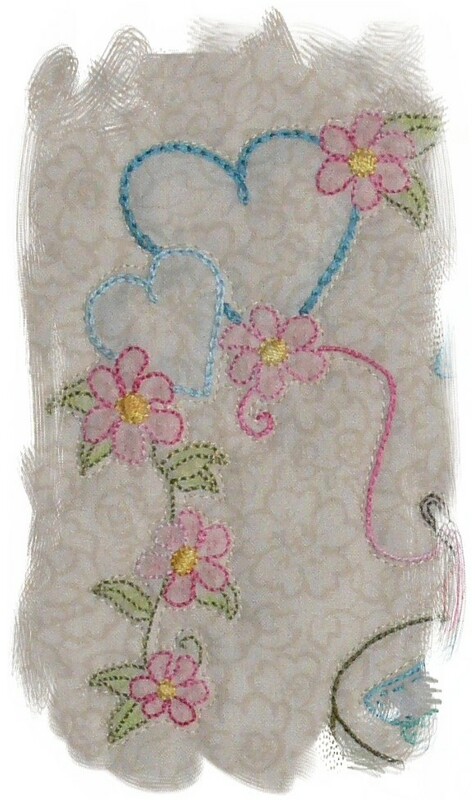 I machine-appliqued the cupcakes and then combined lace, fabric, ricrac and some Prairie Points to finish it off. I have another couple of towels I could do, so I hope I can be disciplined enough to drag myself from Pinterest, Facebook and aimless Googling and have enough energy to do them, as I think they are worth the effort. The dream doesn't turn into reality without a certain degree of exertion! Congratulations. 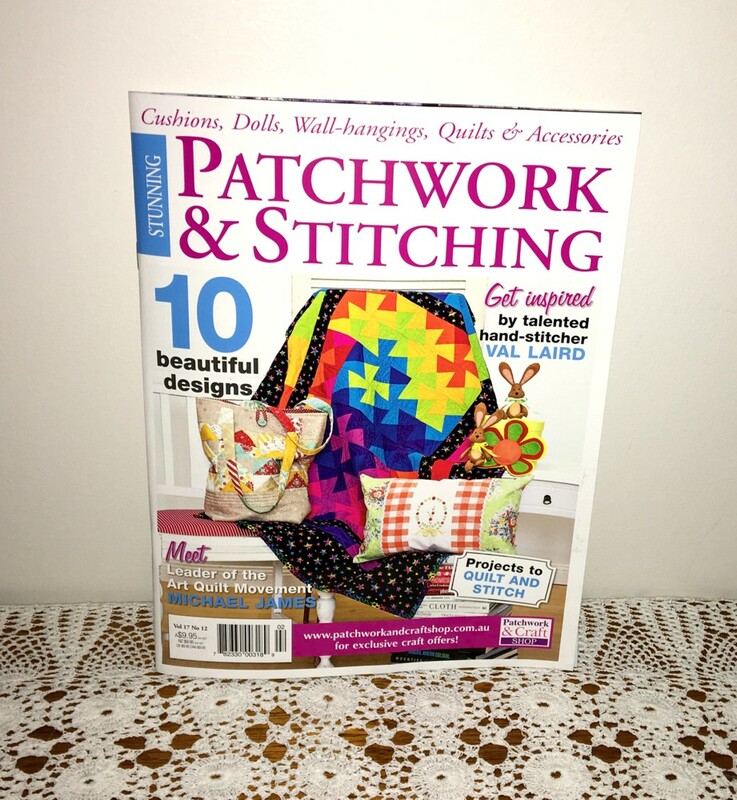 I know you have often had your designs published before, but having your name on the front of a magazine takes fame to a much higher level! I didn't realise that this mag will be stopping soon, that's such a shame. That last line is certainly the truth! 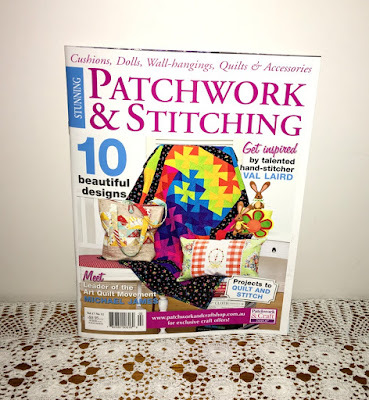 So nice to see your name on the cover, and to see your profile in another magazine. 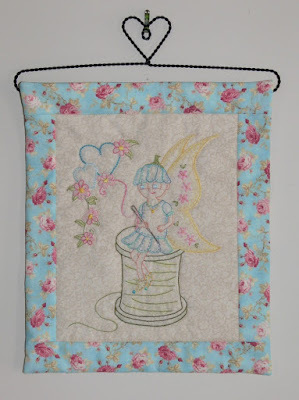 I do love your collaborations with your grandson, and the stitching fairy is a great one. 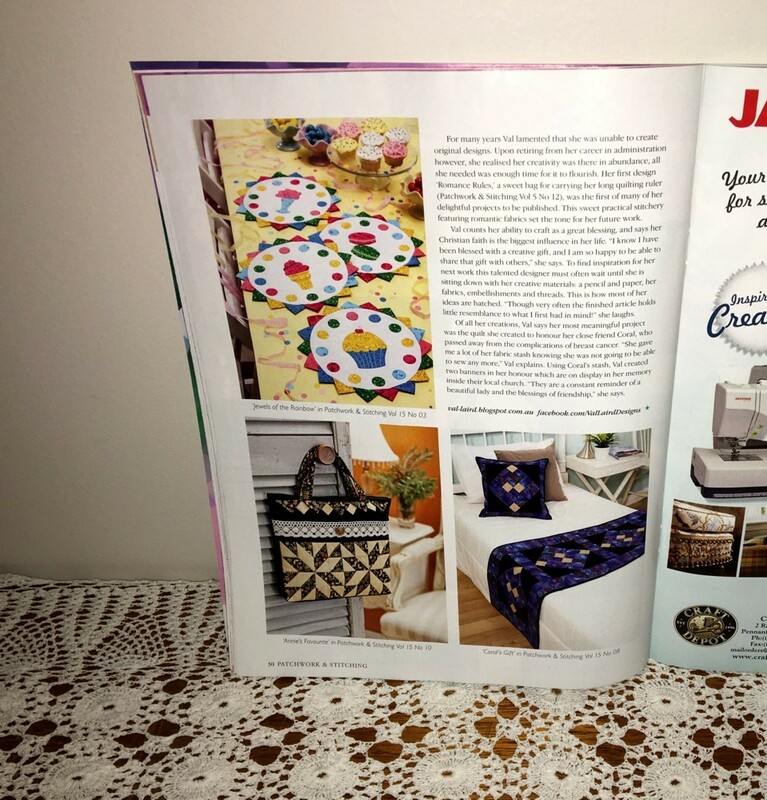 We have some major magazines here closing down, too, notably Quilter's Newsletter, which has been around for as long as I have been quilting (and that's a VERY long time!). I'm so sad to see it close down. Wow Val, I have to get a copy of that P & S magazine!! Congratulations on the front page mention, and the profile write up! I nearly had an argument with someone last week; I mentioned that P & S were closing down this year and she said No they're not, my subscription goes for 2 years. I said well, it looks like you might get a refund if you're lucky. She wouldn't believe me, even when I told her that I found out from one of the designers who contributes to the mag!